Are you a Fitness Pro? Too much of a good thing can be a bad thing! Some people believe they should stay completely away from wheat, gluten and all starches. There a those who stay in ketosis using alternatives to bread, pastries and sweets. They successfully stay low carb with artificial sweeteners, sugar alcohol and modern food products that mimic a high carb diet. This is an interesting method in that in the absence of calorie concern, portion control could get out of control. You could still be in ketosis while consuming way more calories than you need. Consuming Stevia, erythritol, Sucralose and other sweeteners multiple times a day, everyday may cause other imbalances in digestion, hormones and thus, your health. This could be why you have plateaued! Tina Kotterman reminds me that treats are just that, treats. Treats, by definition are not supposed to be eaten everyday. They are supposed to be things that enhance an event or celebration, not a commonplace food that you expect everyday. If you develop that mindset, you’ll be able to manage healthy eating better both physiologically and psychologically. So how is your mindset? Do you depend on “keto safe” foods that you can eat large quantities of? or can you eat 1 -2 small slices of a low carb pizza (like the recipe in my newsletter below) and receive the benefit of a small portion of legumes in your diet. The American habit of eating a whole pizza or even a half of one is in part, one of the reasons we’ve gotten to this modern health dilemma. There may be valid health conditions that warrant a no bean diet but, just because it’s not “Paleo” is not a reason to banish all legumes from your diet for ever. They actually have nutrients in them. If you like what I’m saying and you want to check out the TriSystem recipe mentioned, please click below and get my newsletter emailed to you. If you’d like to get reminded when a post or article gets posted, view this post one my website and subscribe there. Choose your Thanksgiving Menu the TriSystem Way! Nutritious, Beneficial, and Tasty! The day is approaching and the choice is ultimately yours. What are you going to fill your plate with? How are you going to enjoy your day? 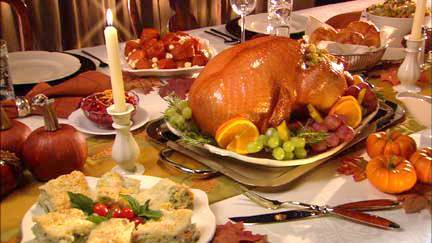 Following up on my “Battling Those Holiday Pounds” posted article, I’ve compiled the nutritional information for two traditional Turkey-day meals. One has more calories and fat than most should consume in a whole day. The other has 75% less calories and 90% less fat. 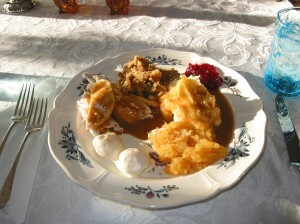 Both are traditional meals containing specific holiday foods. The larger meal will most definitely cause fat to be stored. The larger meal will cause drowsiness and discomfort for hours after the meal. The smaller meal is balanced and fulfilling, leaving you energized and room for a small dessert meal two to three hours later. What are you going to do on Thursday? Studies show the average weight gain around this time of year among those who are weight conscious is five to ten pounds. Those who are not concerned about weight could gain a whole lot more. So what’s the answer? 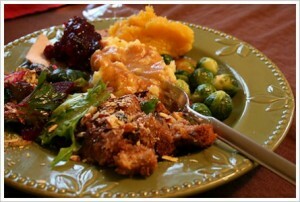 Avoid all the delicious, good food surrounding the various holidays this time of year. Dramatically cut back on everything else. If this was the answer, the holiday weight gain statistic would not exist. Forgo the food connected with our holiday celebrations and you might as well skip the whole holiday season. Since becoming a hermit is not the healthy answer for weight and body composition maintenance, we must find another answer. That solution, in a nut shell (pardon the pun) is variety and moderation. Specifically, the number of meals you eat per day will definitely influence pending weight gain. Even the most meticulous calorie counters realize that they need a specific amount of calories per day. So they save up their calories for that one special meal. Have you every skipped breakfast or only had a light snack to eat before Thanksgiving? It seems to makes sense. 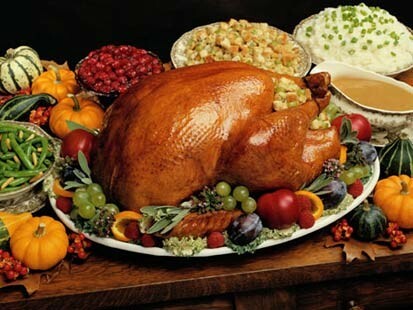 If your limit your calories to 1,500 a day, why not in one delicious, holiday splurge. The problem with this calorie math is your body is only capable of processing food at a specific rate. For example: if a man is dying of dehydration, it will not benefit him to connect a fire hose to his mouth. The water just can get in that fast. Therefore, to be in energy balance, over the time it takes to consume a meal and the time it takes to digest and absorb that meal, we should be burning close to the same amount of calories. It is not the amount of calories we eat per day that matters but, the amount of calories and nutrients we consume per meal. So how do we apply this to the holiday season. Don’t think you’re doing well by sleeping late, skipping meals, waiting for that one big meal. Don’t set your body up for laying in the couch, watching television while it attempts to process this breakfast-lunch-and-dinner-in-one. You’ve just lowered your daily calorie expenditure, increasing the chance that your body will store most of what you’re eating as fat. Skipping meals and then exercising very hard, right before the big meal increases calories burned but, if you haven’t eaten very much since the night before, you could actually slow your metabolism, burning muscle. Exercise helps curb the appetite in some people but, actually increases it in most because of the temporary calorie deficit. Your body likes routine. If you normally get up at a certain time, get up at that time. Try and eat as soon as you wake and eat breakfast, snacks and lunch like you normally would. If exercise is part of your routine, then keep it there. If it is not, this is not the day to start. Eating meals at the time you normally eat them will actually raise metabolism (compared to skipping) and give you nutrients and calories when your body needs them. This will reduce cravings and hunger before your holiday meal, especially if you have a snack or meal right before you get together. Don’t deny yourself the traditional holiday foods. Fighting to avoid them usually ends up in one or two melt downs that are worse than if you served yourself with various samples. The key is portion control and variety. A plate that has a little of everything is better than a plate that only has the biggest baked potato. Try and put a little of everything on your plate, even if you don’t particularly care for something. The more you try new and different foods, the more likely you are eating a balanced meal. Don’t use the biggest plate, either. Choose to fill a smaller plate or, when given a larger one, fill your plate out to the sides. Try not to stack food high. Keep it all the same level. If there is a boarder or pattern in the china, attempt to serve yourself within the lines. Be sure to get some protein, carbohydrate, vegetable and a little fat. Drink between eight and sixteen ounces of fluid with your meal, water being the first choice. With a snack before, a full day of eating, routine exercise and a well balanced plate, we should all survive the holidays with little weight gain and a good taste of everything. Having a little of everything eases the pressure of trying to decide what to eat, satisfies your taste buds and balances your meal. Have fun with family and friends this holiday season but, not at the expense of growing out of those jeans around New Year’s resolution time. Good luck and God Bless!! What Bars and Shakes Should I Choose? I've reviewed a lot of shakes and drink mixes. My TriSystem Pre and Post workout shakes (members get my shake recipes on their menus. Click here to become a member) are designed to not be refrigerated. 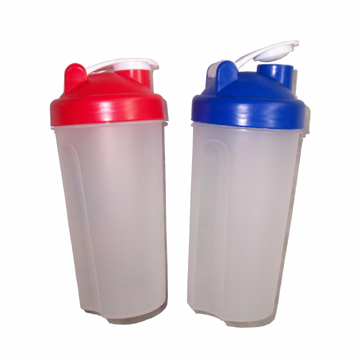 They are just a mix of powders that you can put in a shaker bottle and just add water when you're about to drink them. 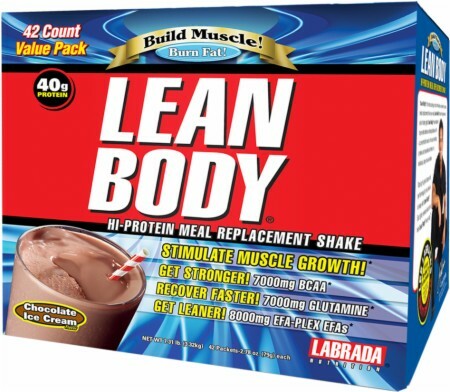 Another option for the shakes are meal replacement packets by Lee Labrada. They come in a box and you can also put them in a shaker bottle or water bottle. Already made drinks that are liquid need to be refrigerated and are more expensive, generally One that does not have to be refrigerated , but tastes best cold is the Isopure Zero Carb Liquid protein. These are in glass bottles and work well with fruit and a few almonds. Many bars have bad fats in them that could increase inflammation and actually store more fat. Stock up on the Perfect Food Bars, they are made right here in San Diego. Most Henry's stores have them. Check out the store locator on their website, http://www.perfectfoodsbar.com. The Heart Thrive bars are also a "better bar" the best place to get them is online at http://www.suncakes.com/Heart%20Thrive%20nutrition.htm. They need to be refrigerated to last. I order a lot and freeze some. These are my first choice bars. If you just can't find the time to get them, my second choices, for convenience are: 1. 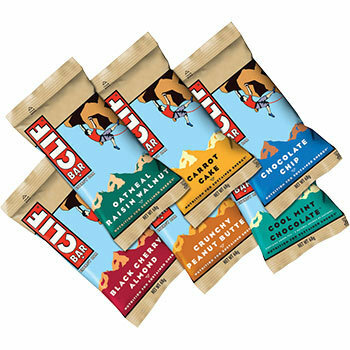 A Clif Builder Bar or (3rd choice) just a Clif Bar or a Small MET-Rx Bar. These can be found in most grocery stores, even convenience stores and gas stations, but they are not as good as the Perfect Food Bars or the Heart Thrive for clean, non-GMO eating on the go. Dessert isn't always bad. Watch this weekend drive that's worth the trip! Mom's is a quaint Julian Bakery that smells like Grandma's house on Thanksgiving day. Offering a variety of fresh fruit pies, including sugar-free options, Mom's can easily fit into a TriSystem Nutrition and Fitness plan, without guilt or regret. Remember, there are no bad foods, just bad portions and a single slice of Mom's goodness will make you feel like you had a wholesome desert without destroying all your progress. Check Mom's out for a dessert that won't destroy your fitness goals, tastes good and has nutritional value. 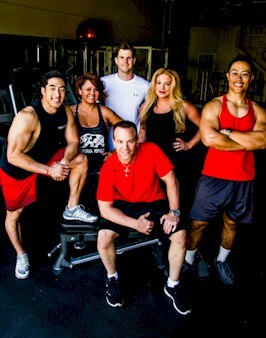 Become a Personal Trainer Help others benefit from fitness like you have. Become a Sports Nutritionist Learn how to create programs that make people the best they can be! 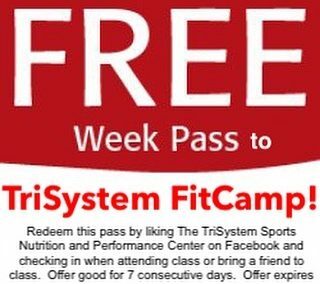 TriSystem for Fitness Pros Customize TriSystem programs for your clients with your brand! Jeff on I’m So Exited about our Party Today, Are you Coming? Jeff on Do you get excited about working out? Do you look forward to it? Here's how! TriSystem Nutritionists on Frequency – Intensity – Duration are the main variables. Do you know which one effects metabolism the most? Jeff on If you missed the last sale, don't miss this one. 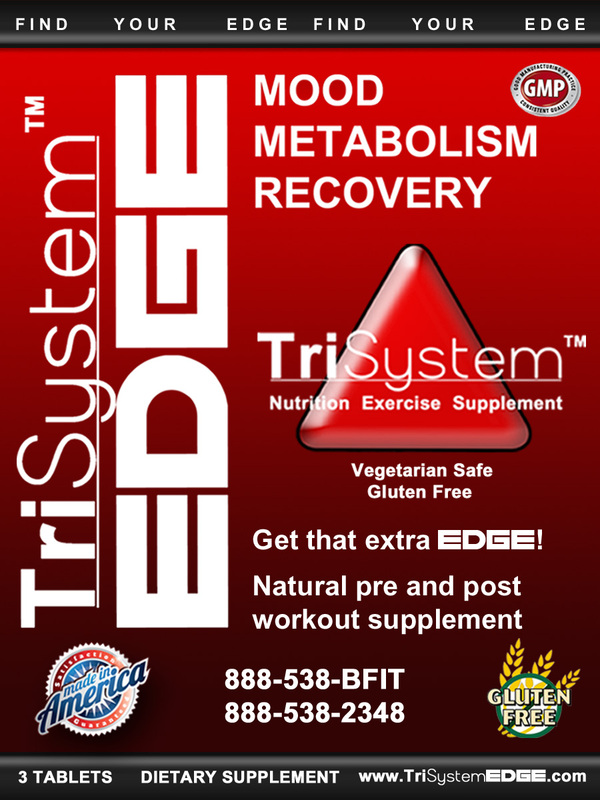 Go to www.trisystemEDGE.com and order yours before we sell out. I don't workout without it!